All Mermet Performance Sunscreen fabrics and some Cachet fabrics are certified Standard 100 by Oeko-Tex, which is an international, independent association synonymous with responsible textile production around the world. 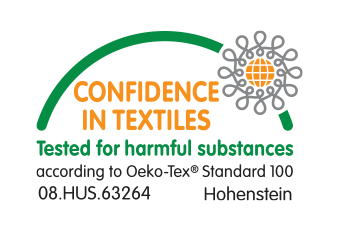 The Oeko-Tex Standard 100 label ‘Confidence in Textiles’ guarantees that fabrics do not contain any harmful chemicals and are harmless in regards to the risk of irritations and allergies. 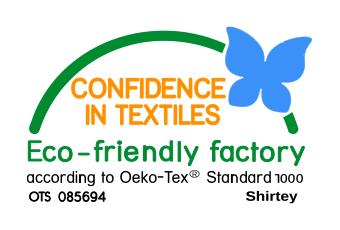 The Oeko-Tex Standard 1000, also carried by some Mermet Cachet fabrics, is a certification system that guarantees environmentally friendly production facilities. The Oeko-Tex quality label provides reassurance that Mermet fabrics do not emit any harmful substances and are guaranteed lead-free.